In New York, we operate twenty-two group homes including supervised apartment living. In addition, we provide in-home services to families and case management support. We support 165 people throughout New York City’s five boroughs and Westchester County in various settings. Some people live in a group setting while others are better suited to live in their own apartments. We are committed to providing person centered supports with a focus on self-sufficiency and interdependence in a way that is unique to each person. We also believe that people with varying abilities all share in the same desire to call a place home, to find work that’s meaningful and to be citizens who are valued and productive members in their communities. We work each day to help those we support fulfill those goals in life. The Center for Family Support, Inc. provides a variety of services for individuals with traumatic brain injuries under the auspices of the NYS Department of Health. If you are interested in receiving these services, the point of entry for this program is through the Regional Resource Development Center. Click the button for a list of Regional Resource Development Centers in your area. CIC is an individualized service designed to assist the waiver participant to more effectively manage the emotional difficulties associated with adjusting to and living in the community. It is a counseling service provided to a participant coping with altered abilities and skills, the need to revise long term expectations, and changed roles in relation to significant others. This service is generally provided in the provider’s office or the participant’s home. It is available to participants and/or anyone involved in an ongoing significant relationship with the participant when the issues to be discussed relate directly to the participant. Home and Community Support Services (HCSS) are only appropriate when oversight and/or supervison is necessary as a discrete service to maintain the health and welfare of a participant living in the community. HCSS may also include personal care assistance with Activities of Daily Living (ADL) and Instrumental Activities of Daily Living (IADL). HCSS is not a companion service. The service must be provided under the direction and supervision of a Registered Professional Nurse (RN) based on an assessment of the individual’s needs and supported by physicians orders. Oversight and/or supervison is necessary to protect a cognitively impaired individual from adverse outcomes related to his/her activities (for example: wandering or leaving the stove on unattended). Oversight and/or supervision includes cueing, prompting, directing and instructing. If a participant’s need for oversight/supervision warrant HCSS during the night, the HCSS staff must remain awake throughout the duration of time assigned to the participant. ILST services may include assessment, training, and supervision of, or assistance to, an individual with issues related to self-care, medication management, task completion, communication skills, interpersonal skills, socialization, sensory/motor skills, mobility, community transportation skills, reduction/elimination of maladaptive behaviors, problem solving skills, money management, pre-vocational skills and skills to maintain a household. ILST services are individually designed to improve the ability of the participant to live as independently as possible in the community. ILST may be provided in the participant’s home or in the community. This service is provided on an individual basis. PBIS services are provided to participants who have significant behavioral difficulties that jeopardize their ability to remain in the community of choice due to inappropriate responses to events in their environment. The primary goal of PBIS services is to decrease the intensity or frequency of targeted behaviors, and to teach more socially appropriate behaviors. The Service Coordinator assists the prospective participant to become a waiver participant and coordinates and monitors the provision of all services in the Service Plan. Services may include Medicaid State Plan Services, non-Medicaid federal, state and locally funded services, as well as educational, vocational, social, and medical services. The goal is to increase the participant’s independence, productivity and integration into the community while maintaining the health and welfare of the individual. The Center for Family Support, Inc. provides a variety of in home and community based services to individuals with developmental disabilities. All of the services indicated are provided under the auspices of The NYS Office of People with Developmental Disabilities (OPWDD). This is a unique approach to a traditional program which offers individuals the opportunity to reach their fullest potential in an environment that is designed by them. The design and philosophy of the program focuses on the interests and strengths of each individual, while providing the support they need to succeed. 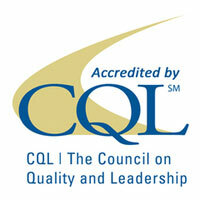 The program offers one to one staffing for an individualized experience. The day habilitation without walls staff provide support by teaching, assisting and encouraging growth and development in the individual’s community. This program provides enhanced job coaching to individuals with developmental disabilities who are not eligible for VESID funded supported employment. Job coaching staff can assist the individual with on the job training but also other supports including daily living skills, travel training and health and safety oversight. Click the button to open a PDF document describing Cleveland’s story which highlights how CFS employment staff helped him to obtain work which he enjoys. This program provides reimbursement to primary caregivers for goods and/or services not covered by any other source. This is provided to primary caregivers of individuals with developmental disabilities who reside in their home. This program offers short term case management for individuals with developmental disabilities who are not enrolled in Medicaid. Case Management staff provide advocacy, linkage/referral, monitoring and follow-up to ensure that supports and services are provided to the individual including assistance with applying for Medicaid. This program offers targeted case management for individuals with developmental disabilities. Service Coordinators develop and facilitate the implementation of person-centered individualized service plans. They also provide advocacy, linkage/referral, monitoring and follow-up to ensure that supports and services are provided to the individual. This program provides individuals with developmental disabilities a Broker to assist them with applying for and/or implementing a self directed budget and plan funded through New York State’s OPWDD”s Consolidated Supports and Services Program. 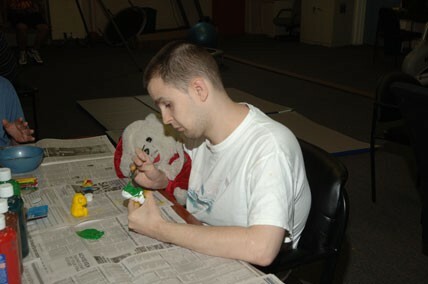 This program provides in-home support from our residential habilitation specialists by teaching functional skills to individuals with developmental disabilities who reside in the community. Supervisory staff work with individuals and their circle of support members to develop a personal centered habilitation plan which identifies the goal and outcomes that the residential habilitation staff will focus on. This program offers in home support from our home care staff to assist individuals with home care tasks including but not limited to: daily living skills, meal preparation, light housework, traveling and shopping. This program is available to individuals that do not qualify for other home care programs and who do not have Medicaid. This program provides individuals with developmental disabilities a housing subsidy which enables them to live independently in the community. CFS provides wrap-around staff services to meet the individuals’ needs as well. This program offers in home support from our parent training staff to parents with developmental disabilities or parents with children with developmental disabilities. Our parent training staff provide skills training on parenting skills. This program offers in home short term relief to individuals with developmental disabilities who reside at home with family members. We also provide for individuals who have significant behavioral challenges.